This is your ideal introduction to the wilderness and the cosmopolitan city life of Southern Africa. 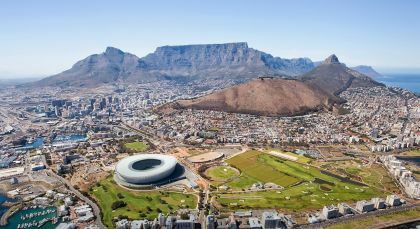 Each stop is a highlights – from the thundering waterfalls to the world’s largest inland delta, and old world luxury aboard a train to historic Cape Town. Angels in their flight! 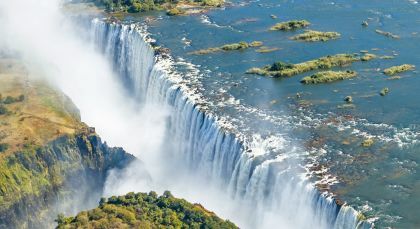 This is how David Livingstone described the breathtaking Victoria Falls, where five million cubic meters of water cascade over every minute during wet season. 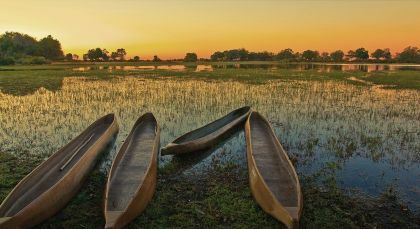 Explore Botswana’s first national park! Once inhabited by the San bushmen, Chobe National Park is unique with its San paintings that were carved into the rocks. Witness a world of glittering water! A unique wetland system in the middle of the Kalahari Desert, Okavango Delta is one of the largest inland deltas on earth. Enjoy a perfect mix of vibrant city life and peaceful suburban settings! 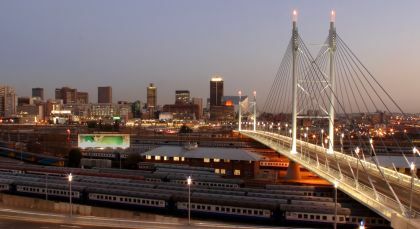 Pretoria, with its green streets and historic buildings, stands in drastic contrast to bustling Johannesburg. 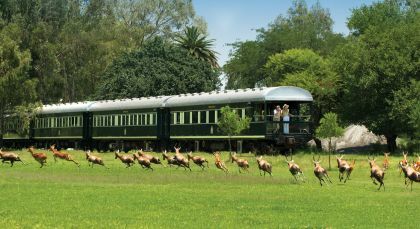 Board the Rovos, the world’s most elegant train, for a scenic trip north to Cape Town. Your African metropolis awaits! With Table Mountain as a breathtaking backdrop, Cape Town is considered one of the world’s most beautiful cities. Accommodation (on a twin-sharing basis) on the indicated meal plan for 13 nights. 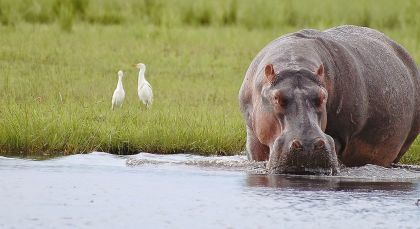 Botswana: All national park and conservation fees as per your itinerary. Botswana: Game drives in high quality and well maintained safari vehicle with professional English-speaking driver guide. Game drives may be shared with other guests of the lodge/camp, with maximum of 9 guests in the vehicle.